The rooms, which are full of natural light and have a modern design, will make you experience true hospitality and relaxation. 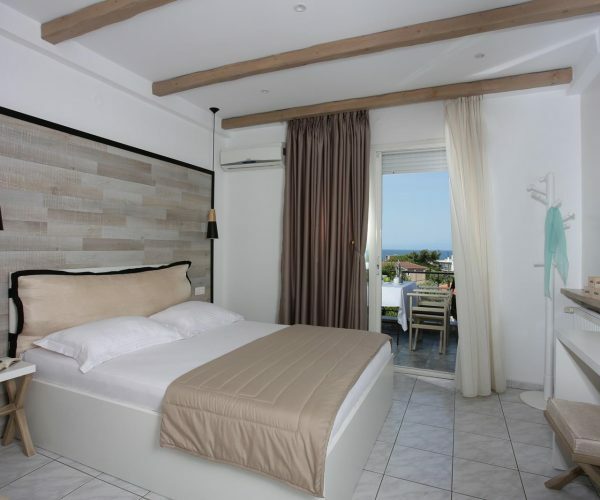 All apartments have a terrace or balcony with a view either at the garden or at the picturesque port of Skala Kallirachi. Sit back on the sun loungers by the pool, relax, and let the warm Greek sun revive you. In the hotel restaurant, you will taste delicious dishes made with pure ingredients from our experienced chef. Studios Anny offer one of the best views of the island. Enjoy a magical sunset that you will be remembering for a long, long time. Standard studios can comfortably accommodate two adults and one child or three adults. They have two beds and a sofa and the kitchen is fully equipped. 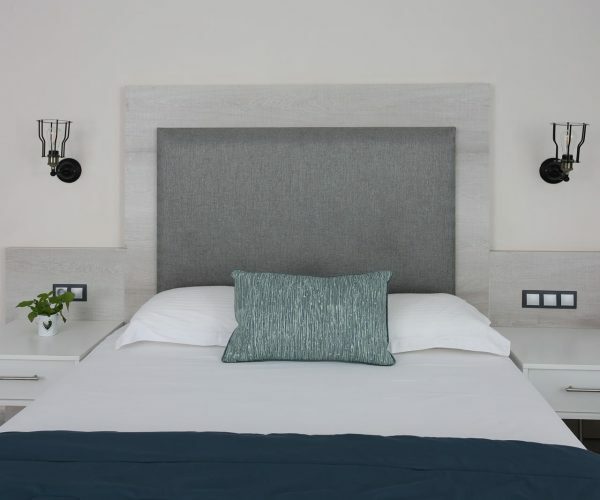 The rooms are comfortable and functional, with a contemporary aesthetic, and they offer autonomy to the guests. They are suitable for the elderly or the disabled, as there is easy access, thanks to the formation of the outdoor areas. The superior triple rooms consist of one bedroom and one unified space with the kitchen and a living room. They can accommodate up to four people, since in the bedroom there is a double and a single bed, and the sofa can also accommodate one extra person. The rooms have a modern decoration and a relaxed vibe, while also offering you an enchanting view of the Aegean Sea from the balcony. These apartments offer you two floors with an attic and they are suitable for large families or groups, since up to five people can be accommodated. On the ground floor, there is a kitchen, a bathroom and a bedroom with a double and a single bed. Two other guests can also stay in the attic. The wood dominates in the design and in combination with the view of the sea, the perfect sense of tranquility is being created. equipped with whatever you might need during your stay.